I can say with the utmost redundancy that this is a true fact: I felt the energy of New York City the second I got off the plane. La Guardia was crowded, dirty, and noisy. If it was any other way, I would have thought I was in Portland, Oregon. We had fewer than 24 hours with places to go and people to see. Because I was with Bill McLain and Bill McLain doesn’t do cabs, we took a shuttle from the airport to our hotel. But, as usual, it was the way to go. Not only was it considerably cheaper, thereby allowing us to spend more money on important things like food and adult beverages, it also allowed us the opportunity to see different parts of the city. In fact, our driver took a very convoluted route through neighborhoods (about a thousand miles an hour) and side streets to get into Manhattan in a heartbeat. He stopped in front of our hotel, the Renaissance Midtown, a block from Penn Station and spitting distance from the Empire State Building. We checked in after some confusion because the hotel inexplicably reserved my room under my married name from my first husband, and I’m trying hard not to think about how that happened. (Perhaps he will pay the bill as well.) Our room was way cool. Way cooler than either of us for sure. The ceiling was concrete and the shower was transparent on both sides so that the shower taker had absolutely no privacy. And as our 7 year old grandson Joseph said when he heard that: Ewwwwww. But none of that mattered because we had reservations that night at Becco Restaurant, one of the dining establishments owned by Lidia Bastianich. I knew. I SIMPLY KNEW. This was going to be the night that she was going to come out of the kitchen, our eyes would meet, and she would invite me back into the kitchen to ask me what her cioppino needed to improve the flavor. 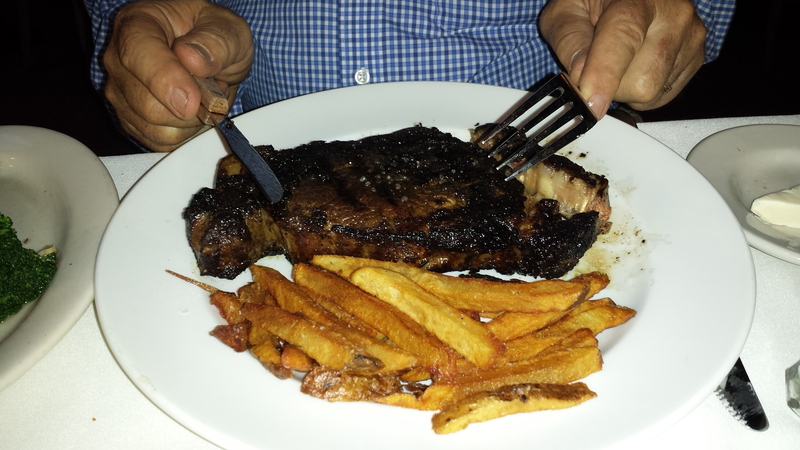 Well, once again, it didn’t happen; nevertheless, Bill and I had a delicious meal. 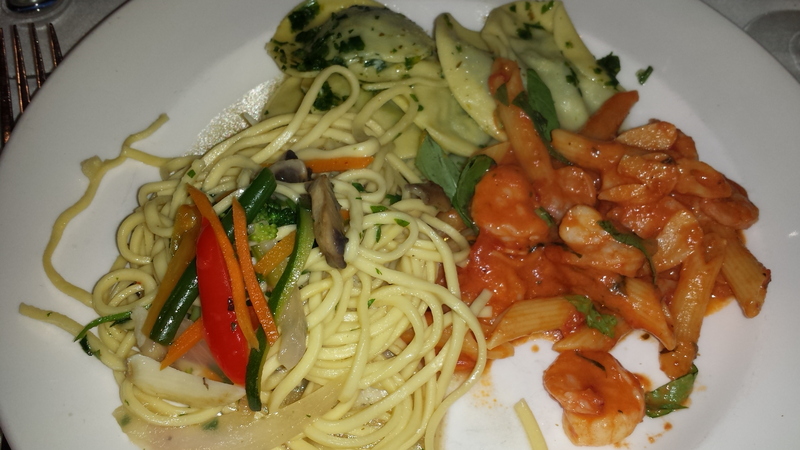 I had the nightly pasta special that this night included spinach ravioli, spaghetti with roasted veggies, and penne alla vodka with shrimp…..
Bill had a perfectly cooked rib eye steak…. 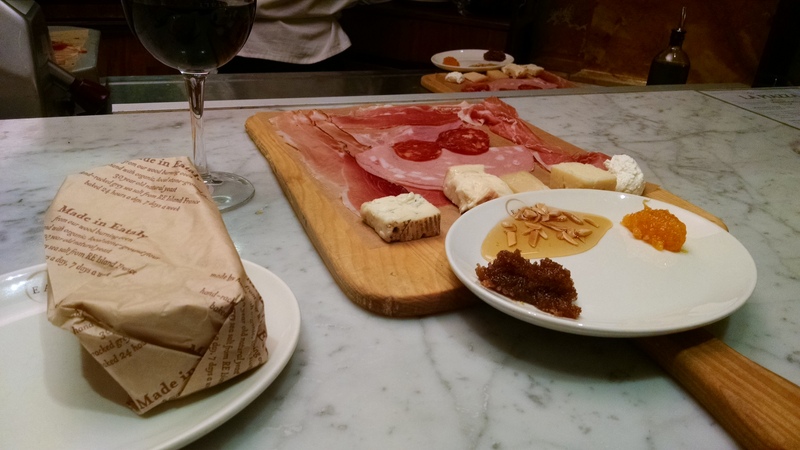 We decided against dessert, electing instead to take a cab over to Eataly, Lidia’s splendid Italian market. And yes, I said we took a cab. Bill’s resistance was lowered in large part because of the bottle of wine we had enjoyed with dinner. Following the wine we had before dinner. We did a bit of shopping at her market that was surprisingly busy for 10:30 at night. 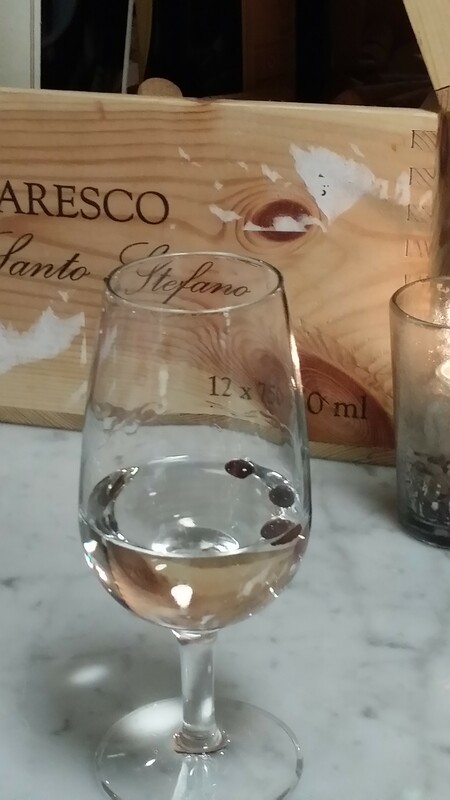 A glass of sambucca seemed fitting to close out our night…. Though we only had one short night in the city that never sleeps, I think we made good use of it. And as we prepared for bed, Joseph will be glad to know that I indeed didn’t look. Then it was on to our next adventure as we made our way to Vermont. I love my state of Arizona and the wide open spaces of the west in general. But, sometimes I long for two East Coast cities, New York and Washington, D.C. When I learned that I was invited to the wedding of a friend’s son in one of the DC suburbs, it seemed the perfect opportunity to spend a week or so visiting some old haunts. So I booked airline and train tickets, reserved hotel rooms and, in early July, set off for what I thought of as my East Coast Swing. 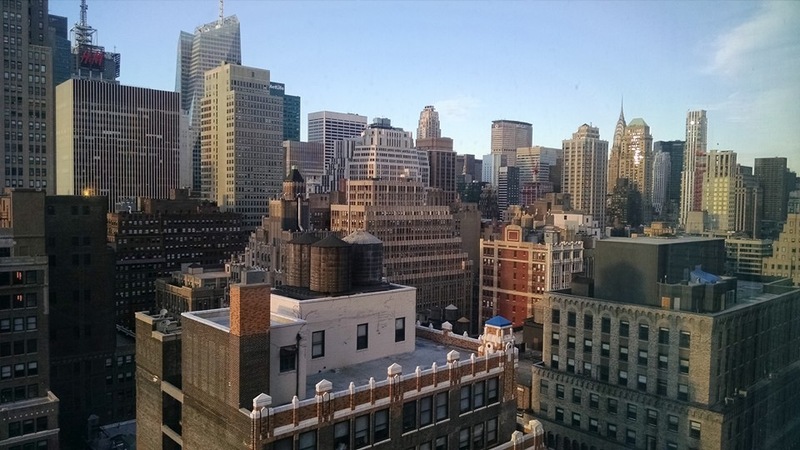 I arrived in New York on a Saturday evening, so the taxi ride into the city was fairly quick. I checked into what looked to be a fabulous hotel, unpacked a couple of things, and set off from the Renaissance Midtown Hotel on 35th St. to Times Square. Traditionally, my first evening in the Big Apple includes a martini in the awesome 8th floor bar in the Renaissance Marquis, which overlooks the madness of Times Square. I love sipping a martini, munching on an app, and watching the crowds of people down below. I took my time on the way back to my hotel, even stopping to do a little shopping for something I’d forgotten. For some reason, it feels decadent to be able to shop at 10:00 at night! After all, it’s the city that never sleeps. And where to have lunch was a no-brainer. 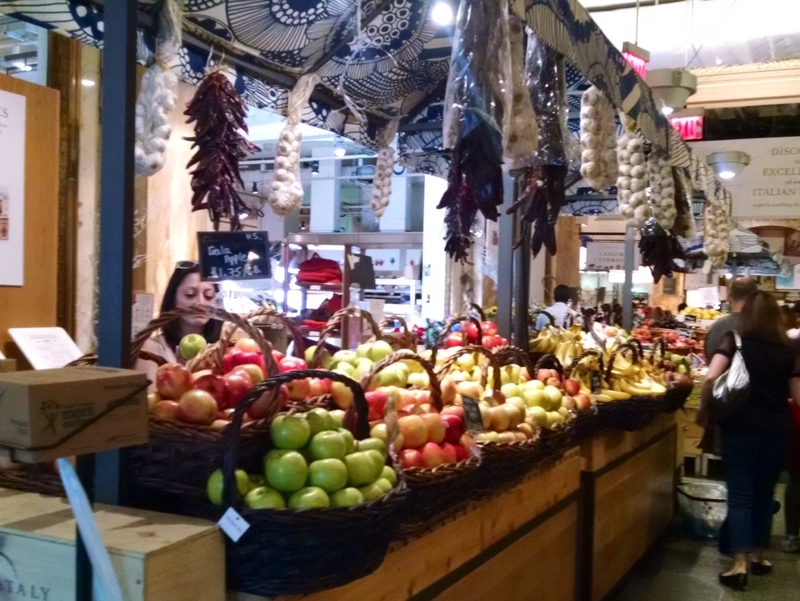 I was less than a mile from NY’s Eataly, one of my favorite places in Manhattan. Just walking in the door makes me smile, as you are immediately hit with the sight of beautiful produce and the smell of every kind of good food. I chose to have a charcuterie and cheese plate and, of course, a glass of wine. After checking out the display cases of fresh pasta, meats, and seafood, I stopped for a shot of espresso on my way out the door. I walked a few blocks to catch a subway down to the Brooklyn Bridge, which was my next destination. One of the few things I try to do every time I’m in NYC is a walk across the Brooklyn Bridge. It’s such a beautiful and awesome structure! The walkway was crowded and I took my time, simply enjoying the activity and the views. Once on the other side, I walked just a few blocks north to the Manhattan Bridge. Now, the Manhattan Bridge is not particularly beautiful, and it’s very noisy because of the vehicle and train traffic, which is on the same level as the walkway. 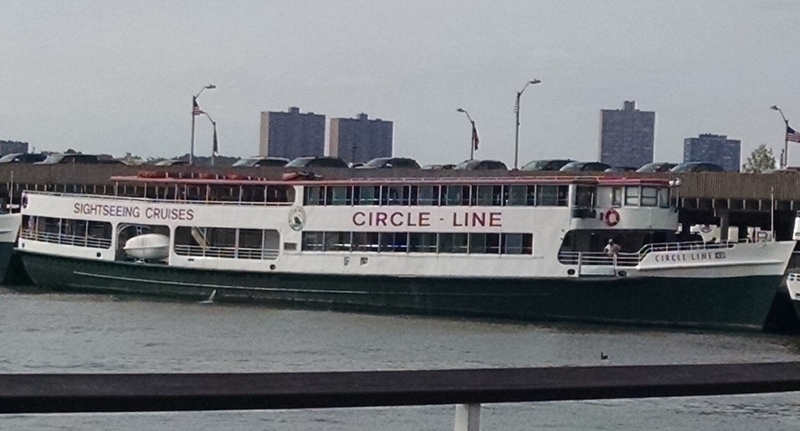 But, it has a great view of the Brooklyn Bridge. And, as you get to the Manhattan side, you are looking across and down into some interesting neighborhoods, and, eventually, into China Town. Once off the bridge, I walked through China Town to get to another favorite place in NY, Little Italy. Little Italy is…well little. But, the Italian spirit is definitely there. I walked in and out of a few shops, bought some souvenirs for my grandkids, and checked out some menus. I found a restaurant that looked good and stepped up to ask for a table outside. The host, an elderly gentleman, spoke to me in Italian until my blank face no doubt made it clear that I didn’t understand a thing he was saying! He gave me a primo table right by the street, and I could tell he was instructing the server to take care of me. I lingered over a glass of wine and a salad before ordering a bowl of pasta that was, of course, fabulous. I bought a small gelato for dessert and enjoyed it as I walked out of Little Italy and toward the subway station, just a few blocks away. By the time I got back to my room, I was bushed! So, I relaxed on the sofa by my window, read, and enjoyed watching the lights come on in the buildings around me. Day One in the Big Apple was a success.